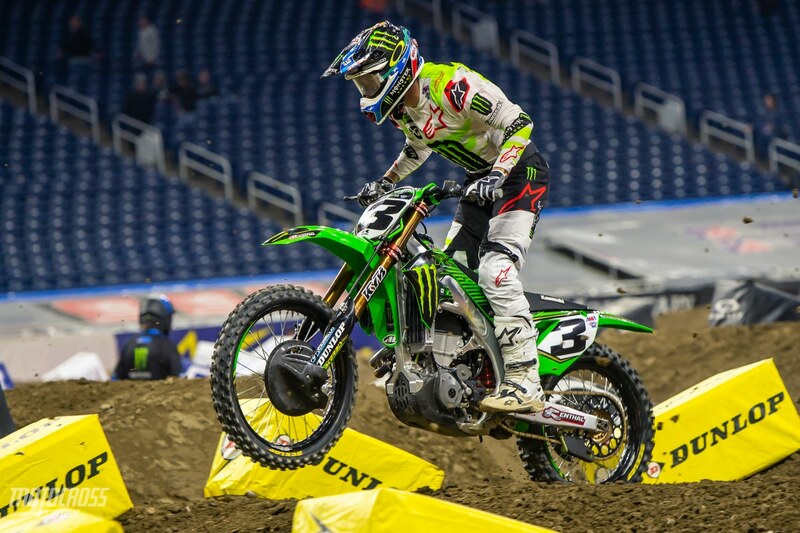 Eli Tomac qualifies fastest lap in Detroit. 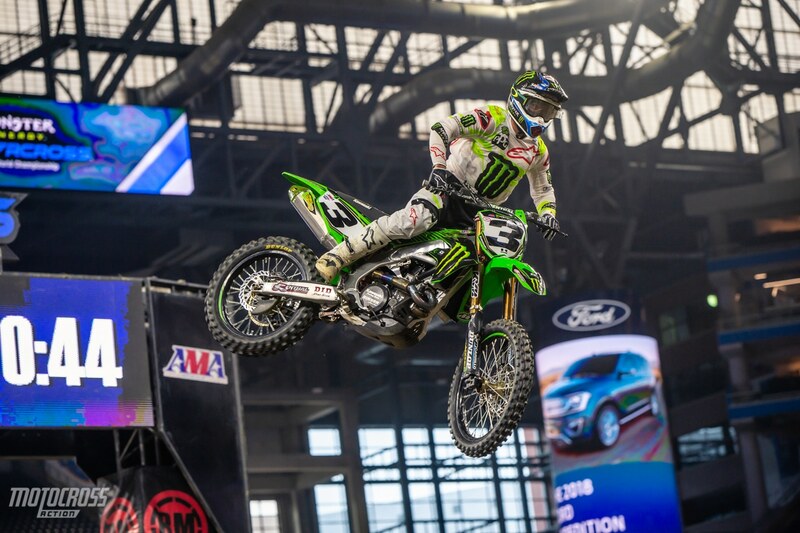 Round eight of the 2019 Monster Energy Supercross season is now underway in Detroit, Michigan. 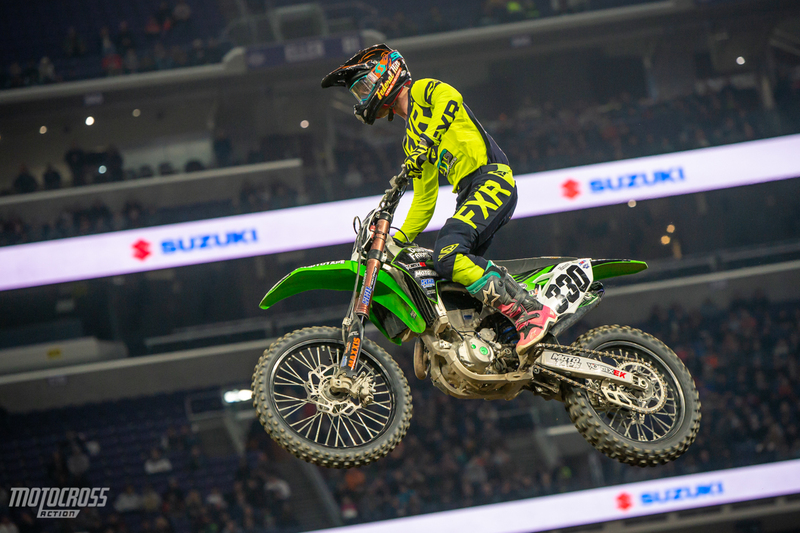 After his twelfth place finish in Arlington, Eli Tomac is looking to bounce back and get a win in Detroit. 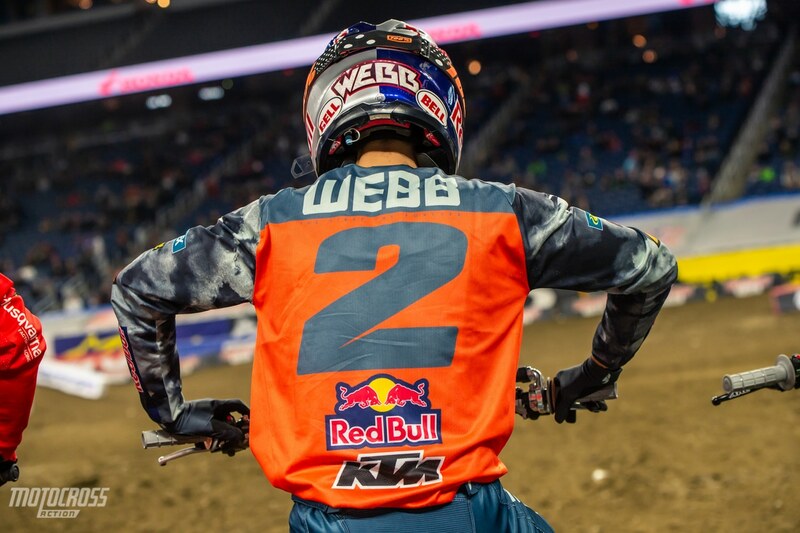 Currently he sits fourth in the 450 Championship point standings, only sixteen back from Cooper Webb. So far Eli is looking good in Detroit, he qualified first in Detroit but not by much. He was .05 faster than Dean Wilson. Now that’s close! 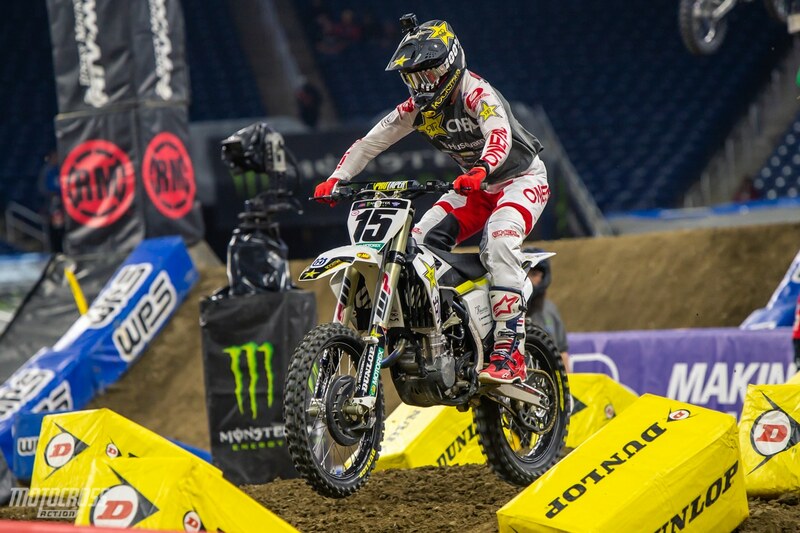 Because we are back to a Triple Crown format in Detroit, the top 18 riders transferred straight to the night show and the rest have to go through a last chance qualifier to make it into the night show and race the three main events. In the 450 LCQ it was Aj Catanzaro who grabbed the holeshot, rode his own race and pulled away. Carlen Gardner rode a solid race to finish second on his BWR Honda. Kyle Chisholm rode his way into third place to make the main and Ryan Breece pushed his way passed Ronnie Stewart to take the final spot in the 450 Main Event. Aj Catanzaro rode a flawless LCQ. He grabbed the holeshot and took the win. Carlen Gardner finished second on his BWR Mx Athletics SSI Decals LTEC Honda. Ryan Breece charged through the pack and made some aggressive moves to finish fourth and grab the final spot in the night show. 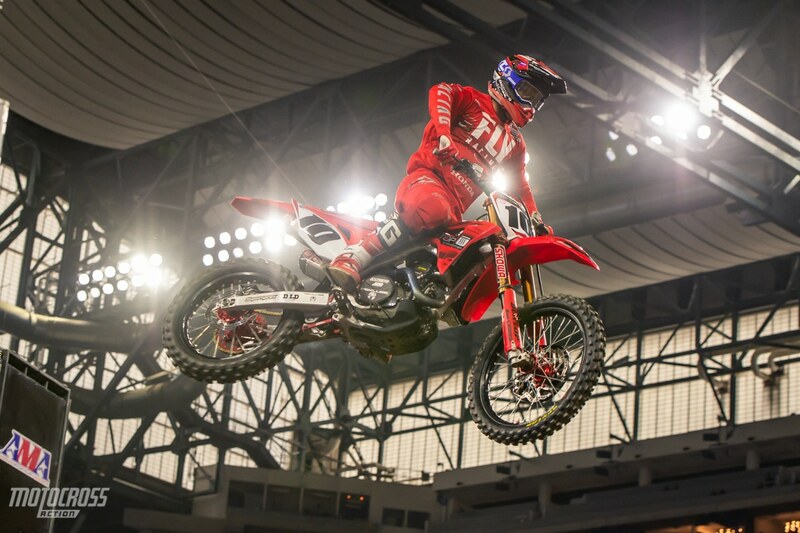 Eli Tomac is on it so far in Detroit. 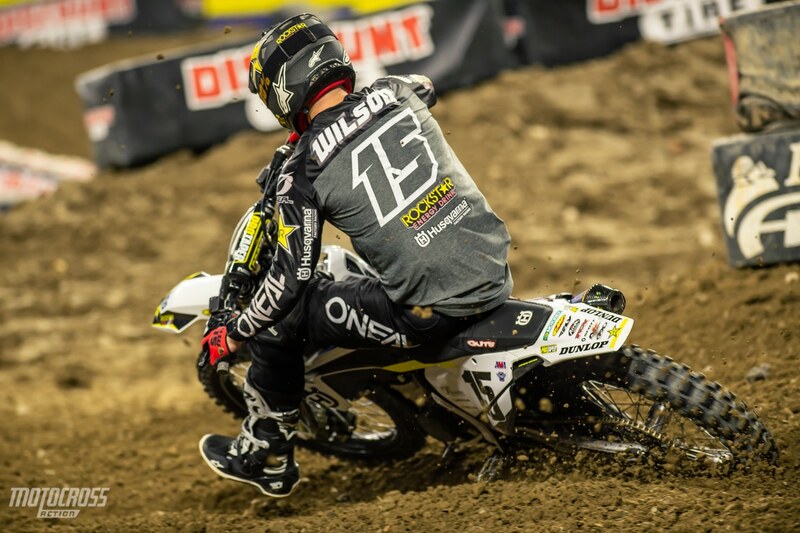 Dean Wilson qualified second in Detroit, only .05 behind Eli Tomac. 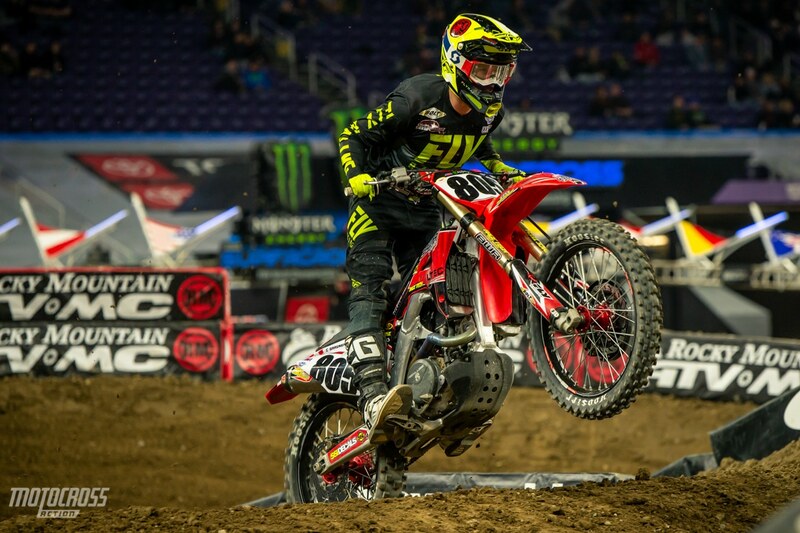 Justin Brayton qualified with an impressive third, less than a second behind Tomac. 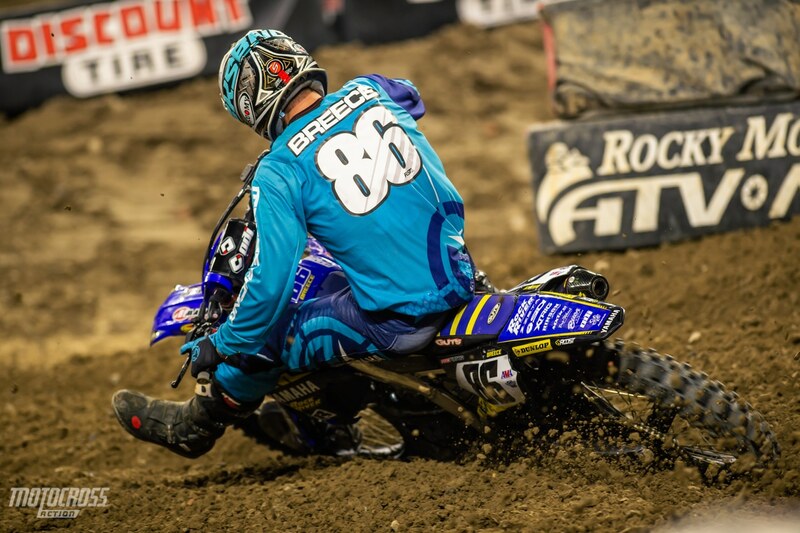 Cooper Webb qualified ninth, but we expect the points leader to pick up the pace when the gate drops tonight. 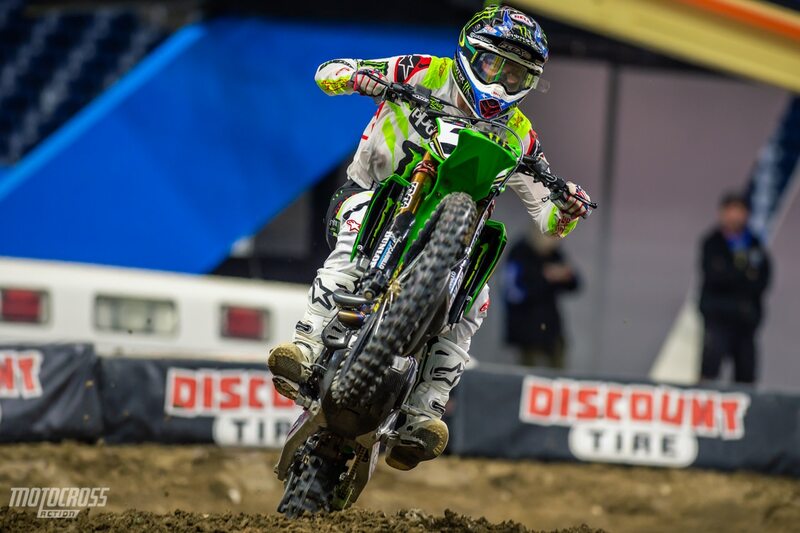 Eli Tomac means business in Detroit. Dean Wilson was second in the first 450 qualifying session.